Duluth, Minn. & Knoxville, Tenn. (18 April 2018) – Cirrus Aircraft today announced that Ben Kowalski has been promoted to Senior Vice President, Sales & Marketing. In this leadership role on the Customer Experience Team, Kowalski will now lead all sales and marketing efforts for the enterprise. Since joining Cirrus Aircraft in 2014 as Vice President, Marketing & Communications, Kowalski has been instrumental in key strategic marketing initiatives. Among these are the global launch of the world’s first single-engine Personal Jet – the Vision Jet; introduction of the SR Series G6 – the latest generation of the world’s best-selling high-performance single engine piston; and the development and launch of Cirrus’ world-class customer experience center in Knoxville, TN – the Vision Center. Ben has almost 20 years of experience leading initiatives in sales, marketing, operations, and training for enterprises, contributing to growth at a range of organizations, including niche businesses and a global technology company. Passionate about flying, Ben has participated in business and general aviation for over two decades. 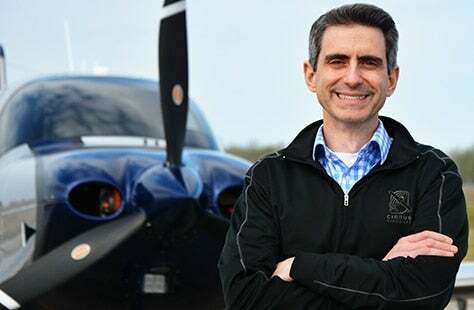 As an active instrument rated commercial pilot, he has accumulated over 4,000 flight hours in aircraft ranging from business jets to amateur-built aircraft. Cirrus Aircraft is the recognized global leader in personal aviation and the maker of the best-selling SR Series piston aircraft and the Vision® Jet, the world’s first single-engine Personal Jet and recipient of the 2017 Robert J. Collier Trophy. Founded in 1984, the company has redefined performance, comfort and safety in aviation with innovations like the Cirrus Airframe Parachute System® (CAPS®) – the first FAA-certified whole-airframe parachute safety system included as standard equipment on an aircraft. To date, worldwide flight time on Cirrus aircraft has passed nine million hours and 153 people have returned home safely to their families as a result of the inclusion of CAPS as a standard feature on all Cirrus aircraft. The company has three locations in the United States, located in Duluth, Minnesota, Grand Forks, North Dakota and Knoxville, Tennessee. Find out more at www.cirrusaircraft.com.